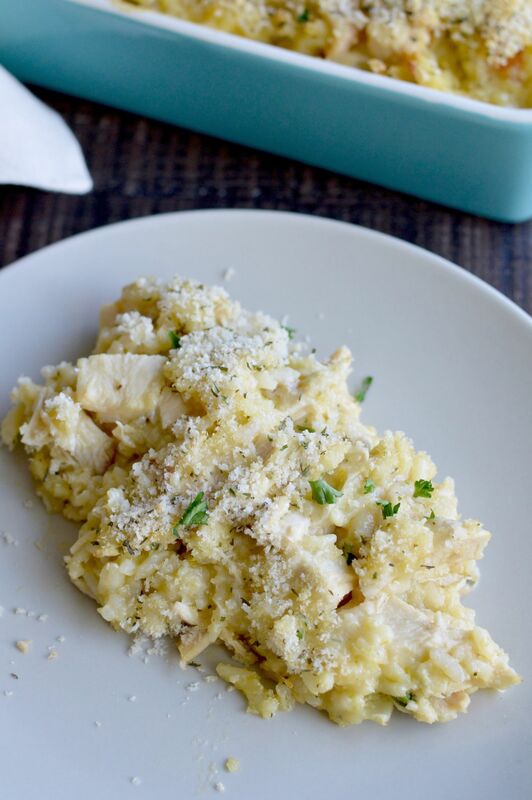 Cheesy Chicken Artichoke Casserole is your go to meal for potlucks. 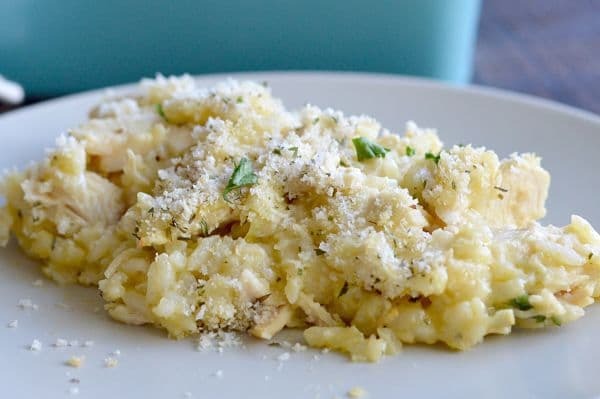 Easily made ahead, it’s full of melted cheese wrapped around tender chicken, bites of artichokes and rice that give each bite the perfect mix. 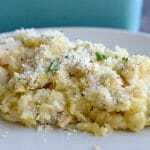 This recipe for Cheesy Chicken Artichoke casserole will make you a really popular person at your next luncheon you need to bring a hot dish to. Its easy enough to throw together the night before and just warm it up when you need to serve it. Growing up in the midwest Ive been served a lot of casseroles. This one has a balance of cheese, meat and veggies mixed with rice that makes it go far when you are trying to serve a lot of people. WHAT TIP MAKES THIS CHEESY CHICKEN ARTICHOKE CASSEROLE A SUCCESS EVERY TIME? 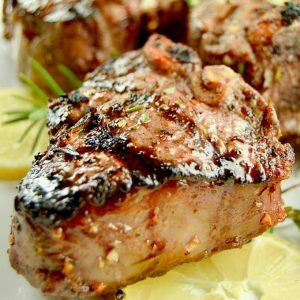 This recipe can be really rich. You make a flour/butter roux to help thicken the sauce but instead of using milk as a base you add chicken broth. The cheese is a wonderful addition to the sauce but you know how it is when cheese sometimes make you feel so heavy and full? The tip to avoid this is to add an acid to it … in this case just adding a small amount of apple cider vinegar. There you have it…. the best tip in this recipe. The vinegar lets you really enjoy the sauce, but makes it so the flavor is very balanced and not heavy! Whether you need a meal for a work function, a Sunday church supper or a luncheon for a meeting this Cheesy Chicken Artichoke Casserole is the answer. 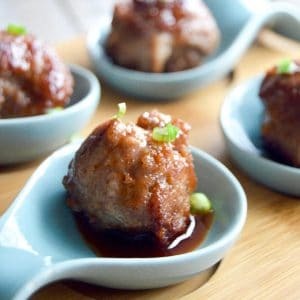 It’s not expensive but is very filling which is a win win in my world for entertaining. 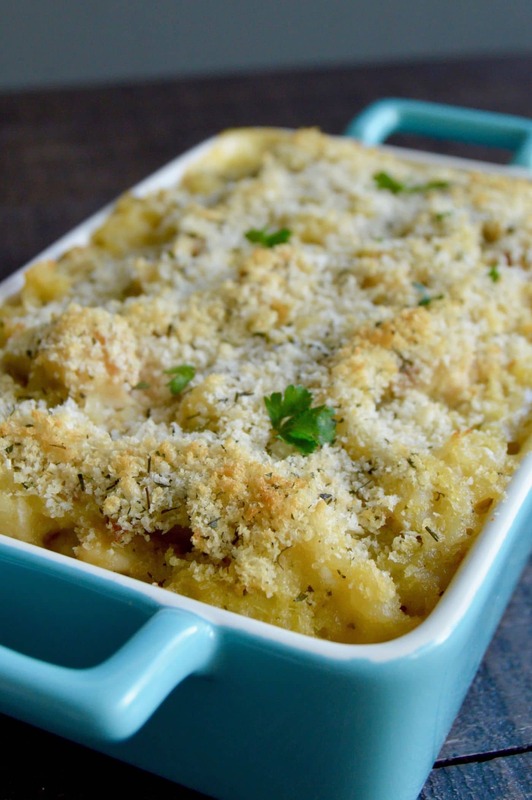 If you like warm comforting foods like this, you may also enjoy this recipe for Gouda Mac n Cheese or the Cheesy Shepherds Pie. Both of these dishes are also excellent to take to any potluck. Cheesy Chicken Artichoke Casserole is your go to meal for potlucks. Easily made ahead of time it's full of melted cheese wrapped around tender chicken, bites of artichokes and rice. Place chicken breasts in a large pot, cover with water, bring to a boil and simmer for 30 minutes. Remove chicken. Cool, cut into large chunks. While chicken is cooking drain artichokes and pat dry. Cut into bite sized pieces. In medium sauce pan melt butter. Blend in flour, then gradually add chicken broth. Stirring constantly, heat until boiling and cook until thickened. Remove heat, add vinegar, cheddar cheese, green onions and 1/4 cup parmesan cheese. Blend until smooth. Stir in cooked rice, chicken and artichokes. Put into a 9 X 13 baking dish. In a small bowl, combine panko, thyme and 2 tablespoons of parmesan. Sprinkle over top of dish. Bake uncovered at 350* for 20-25 minutes until bubbly. The caloric info for this recipe was created using my fitness pal using the ingredients/brands I specifically purchased. If you are following a strict diet, please bear in mind products or brands you purchase will affect the calorie information. Michelle can thi casserole be put together in afternoon and held until dinner time instead of baking and reheating? 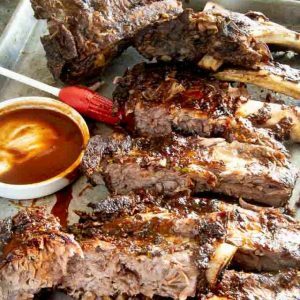 I made a very large batch for a banquet…. tripled the recipe. I added 1 chopped onion (sautéed in butter when making the roux), cut the amount of cheese and used 8 c. a mix of Colby, Jack and Cheddar. The vinegar frightened me…. I used only the 1/4 Cup for the whole triple batch. I also used seasoned Panko crumbs. It really was delicious. However, if you are making this ahead of time and baking it from the refrigerator…. baking time is more like an hour. What a delicious and comforting casserole! I love the roux with the chicken broth and how thick and creamy it looks. YUM! I’ve never had artichoke in a casserole before and I’m not sure why because it sounds like a marvelous idea! I was just wondering if you’re suppose to use white or orange cheddar cheese? This does sound like a delicious meal to take to a potluck, pinning as we have a couple coming up and I always get stuck for crowd-friendly ideas (even though I cook every day). I love that your mom used to bring copies of the recipe with her – so cute!! I love artichokes. I just don’t seem to use them that often, but with this recipe that will change! I can’t wait to make this, it sounds so delish! This looks like pure comfort food and your roux-based cheese sauce sounds so creamy! I’m such an artichoke fan and they sound like such a perfect addition in this casserole. The tip about adding vinegar to the rich sauce is one I’ll have to remember! This does indeed look like a great casserole! Love the tip about the apple cider vinegar, too! I am definitely filing this away for my next potluck! I rarely cook chicken now, but I used to make a similar casserole for like.. every party I was invited to, because it was a HUGE hit. 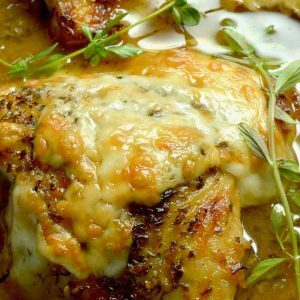 The chicken with artichokes and cheese- it’s such a dynamite combination!!! this recipe makes me really, really happy! I am definitely making this for our next get together….it has all of my favorite things. Artichokes, cheese…yummy! I’m super happy to have found this- I’m always on the look out for new and delicious potluck recipes and this one looks like a real winner. I think artichokes are one of my favorite vegetables and terribly underrated! Those breadcrumbs look like the add the most amazing bit of crunch which is probably amazing with all that cheesy goodness. I cannot wait to try this- thanks for sharing!